Welcome to Techno-Billies: This is Why We Need Volunteers! This is Why We Need Volunteers! I have been advertising for volunteers on this site and I also joined HelpX.net (an excellent site that puts Volunteers in touch with Host farms and families who need a bit of help) and we have to date had several inquiries and are expecting our first Volunteers to arrive in December to help with the Olive harvest. I thought I would illustrate why we need help. This is part of the old wooden hen run which was attached to the old wooden hen house at the top of the finca. The plan was to move the run down to the lower meadow where we have our own hen house (Eglu brought from England with us) and to join it to ours so that our new hens (coming end of September) will have a decent sized run. There is an issue of free-range or not free-range or how much free-range? Suffice to say that to start with they will be in the run. Steve took the runs off the hen house but didn't want to totally dismantle them, he thought it would be easier to simple move them as is. He then set about manoeuvring the first run down a boulder strewn slope... by hand, by himself. The wooden runs with metal roofing are very very heavy. I tried to help but wasn't much use other than directing him so that he took the easiest route down. By using a small trolley (all we had) which balanced half of the run off the ground and sheer brute force the hen runs were moved over a course of two days and with much swearing and shouting and sweat pouring! Of course with the help of a young fit Volunteer this job could have been done probably in a morning. Alas there are a number of jobs like this on the finca. Things that require brute strength and many hands. We are getting fairly clever at thinking up creative ways round problems but sometimes all you need is muscle and I am sad to say that I am not much use in that department. I can make bread, I can cook just about anything and make it palatable, I can preserve fruit and veg and I can make cordials and wine. I can scythe fields of grass for several hours before getting tired and I can prune olives and figs including sawing quite large branches. I can sew clothes and furnishing covers and I can knit and crochet. 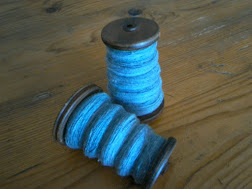 I can spin wool and I can do embroidery. I can grow all sorts of vegetables and I can light fires and I can clean using very basic products from the kitchen cupboard. I cannot lift heavy things. I don't understand how the water pump works or see at a glance why the electricity has gone off. I do not understand how the generator works or doesn't. I don't know why the heavy metal gate is hard to close or open now when it wasn't when we first moved in. I don't know what makes the ride-on mower work and I can't lift or carry heavy objects and my screaming at a spider is NOT disproportionate to the size of it! I just thought I would get that off my chest. You see, no (wo)man is an island. We need help! Hi Techno billies...... can't seem to see your email contact? Love to talk to you about some work experience. I hear you, it is the same here, I work by myself at almost everything. I recently put a new bridge in to get fire wood from across the creek and an old buddy took off work and drove several hours to help. He works in an office and loves getting outside and doing work so he had a ball. That's the kind of friend everyone needs!